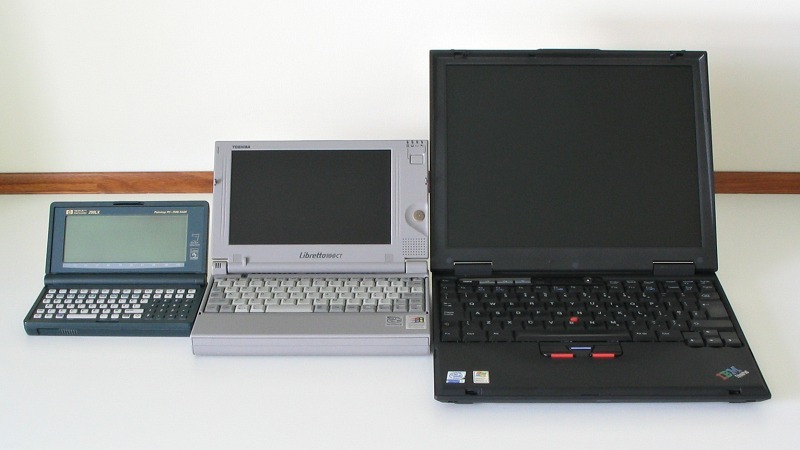 The Libretto may be one of the smallest PCs ever made, but the Hewlett-Packard 200LX palmtop is even smaller - and yet is still a genuine IBM PC compatible machine. 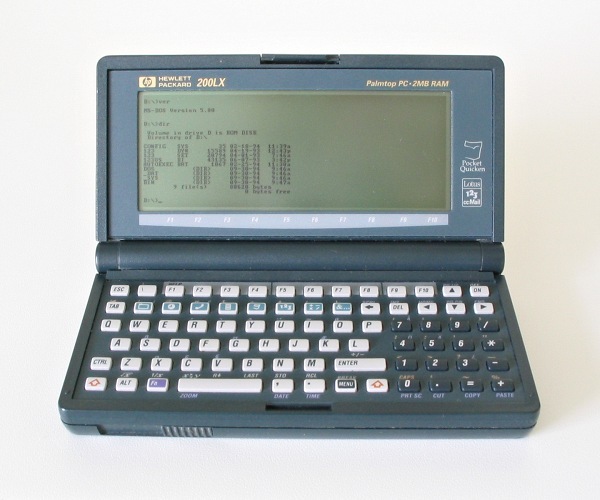 It has an Intel 80186 processor, a CGA-compatible greyscale LCD screen, and 2MB of RAM, 640KB of which acts as main memory. The remainder is set up as a RAMdisk and used as the C:\ drive. The RAM is permanently powered by the main batteries (two ordinary AA's) or the lithium backup battery, to maintain the contents of the C:\ drive. For additional storage space, or for backup in case both batteries fail, a flash RAM card can be installed in the machine's PCMCIA slot. The 200LX also has a ROM containing MS-DOS 5.00 and a suite of applications, including cut-down versions of Lotus 123 and cc:Mail.